EPA Safer Choice Program Adds Sodium Bisulfate to Safer Chemical Ingredient List – Jones-Hamilton Co.
Jones-Hamilton announces that sodium bisulfate (SBS) has been reviewed by the EPA’s Safer Choice Program and qualifies for use in Safer Choice-labeled products. 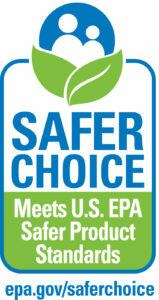 The Safer Choice program, developed by the EPA, aims to make it easier to determine which products are safer for the environment and for consumers. Chemicals that receive this designation are added to the Safer Chemical Ingredients List (SCIL) and grouped by function-use class, with SBS falling under the category of Antimicrobials and Processing Aids and Additives. SBS is marketed by the Jones-Hamilton Co. as various agricultural products, including PLT litter treatment, AFG feed acidifier, and LS-PWT2 livestock water treatment. PLT is used to control ammonia and lower litter pH in poultry houses, and is the only litter amendment that can be safely applied with birds in the house. “Jones-Hamilton Co. is committed to providing safe, effective and sustainable solutions in animal agricultural production,” said Jones-Hamilton Co. President, Bernie Murphy. “This latest designation from the EPA demonstrates our resolve and focus on developing and supporting products that benefit animal production while protecting animal health and improving the environment on farms and in the community. In addition to their positive effects on poultry, these products echo the sustainable efforts of Jones-Hamilton by following the principles of Green Chemistry as described by the EPA and the California Department of Toxic Substances Control.